Golconda Fort is an imposing building that once protected an ancient city in an area famous for its diamond mines. The fort and surrounding ruined city make up one of the most popular attractions in Hyderabad. Come to see the fort’s mosques and colossal mud walls and experience the building’s incredible acoustics. The Kakatiya Kings originally constructed the fort from mud in the 12th century. Enter through the Bala Hissar Gate on the east side of the fort. Notice the gate’s arches and elaborate decorations and marvel at the 6-mile (10-kilometer) wall that stretches across the ruins. It is lined with cannons, gateways and drawbridges. Find your way around the maze of fortification walls to the ancient mosques, armories and chambers at the top of the hill. If you get lost there are signs and a guide map. Investigate the famously powerful Rahban Cannon. Imagine the castle is under attack by rival groups as you peer through vent-holes in the walls. Peruse the old apartments where royalty once lived and admire the intricacy and ingenuity of the 700-year-old architecture. Experiment with the eerie acoustics in the fort. A handclap at the entrance can be heard half a mile (1 kilometer) away. Walk around the gardens, which are still kept in good condition today. Attend a light-and-sound show held every evening to learn about the history of Golconda. The various rooms of the fort are bathed in red-and-gold light as actors play out scenes over the speaker system. Golconda Fort lies next to the Mahakali Temple to the west of Hyderabad. The site has its own bus station, Golconda, by the fort’s entrance. It is a 7-mile (11-kilometer) drive from the center of the city along the river and lake, Langar Houz Talab. Take a taxi from the city center. The entry fee for the fort varies for locals and visitors. Golconda Fort is open from morning until late afternoon every day except Monday, with separate admission for the evening light-and-sound shows. 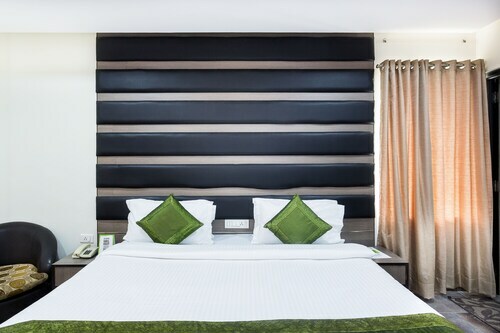 This family-friendly Hyderabad hotel is located in the business district, within 2 mi (3 km) of Kasu Brahmananda Reddy National Park, GVK One Mall, and Hyderabad Central Mall. Durgam Cheruvu Lake and Birla Mandir Temple are also within 6 mi (10 km). Located in Manikonda, this hotel is within 3 mi (5 km) of Qutub Shahi Tombs, Golconda Fort, and Taramati Baradari. Cyber Towers and Gachibowli Indoor Stadium are also within 6 mi (10 km). 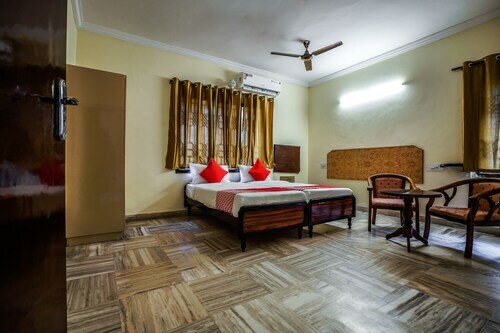 Located in Attapur, this hotel is within 3 mi (5 km) of Sudha Cars Museum, Nehru Zoological Park, and Golconda Fort. Charminar and Chowmahalla Palace are also within 6 mi (10 km). 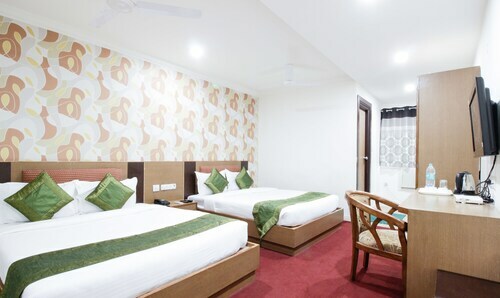 Situated in Hyderabad, this hotel is 3.1 mi (4.9 km) from Golconda Fort and within 6 mi (10 km) of Nehru Zoological Park and Taramati Baradari. Qutub Shahi Tombs and Sudha Cars Museum are also within 6 mi (10 km). Located in Shaikpet, this hotel is 1.7 mi (2.7 km) from Qutub Shahi Tombs and 2.4 mi (3.9 km) from Golconda Fort. Durgam Cheruvu Lake is 2.4 mi (3.9 km) away. 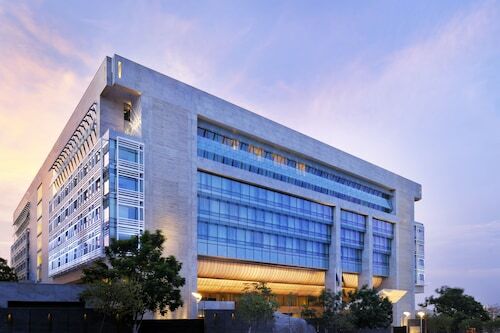 Situated in Hyderabad, this hotel is 2 mi (3.3 km) from Qutub Shahi Tombs and 2.8 mi (4.5 km) from Golconda Fort. Kasu Brahmananda Reddy National Park and Durgam Cheruvu Lake are also within 3 mi (5 km). 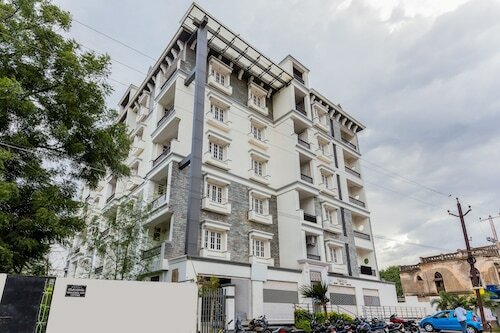 Situated in Hyderabad, this hotel is 1.9 mi (3 km) from Qutub Shahi Tombs and 2.6 mi (4.3 km) from Golconda Fort. Durgam Cheruvu Lake and Ascendas IT Park are also within 3 mi (5 km). 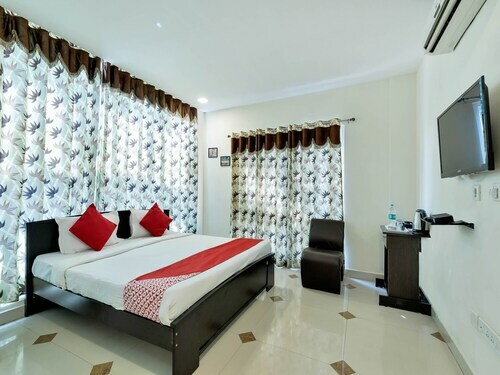 Located in Banjara Hills, this hotel is 1.5 mi (2.4 km) from Kasu Brahmananda Reddy National Park and 2.7 mi (4.3 km) from Golconda Fort. Qutub Shahi Tombs and GVK One Mall are also within 3 mi (5 km).